With application season picking up pace, and the fall semester in full swing, I thought it'd be good to ask everyone to give a quick hello--send us a "postcard," if you will--and let us know how you are. Now, it don't have to be more than a line or two--we're all busy. But it'd be nice to get a sense of how our guests and contributors are doing these days, wherever they may be in their work or plans right now. I'm teaching one section of frosh composition and taking three classes, including one workshop. Not getting nearly as much writing done as I should be doing--a lot of new ropes to learn, you know?--but overwhelmingly pleased at how my first year is going, so far. Oh, and listening to a lot of Devo for some strange reason. Wish you were here and TTFN! I'm right now in the basement of Hesburgh (Touchdown Jesus) library working on my workshop submission that's due on Friday at 5pm. I'm TA'ing for the Theatre dept, and I just subbed in for my writing prof's frosh lit seminar. I'm also taking an english lit course, 18th cent poetry (requirement) and art history course (elective, not required). in two days, the weather went from 88 and humid to 40 and rainy. no joke. if anyone is interested i'll add a post later on the happenings at Notre Dame's MFA program. I have my schools narrowed down, samples done, recs requested -- thanks to this site -- and transcripts in hand. Now everything goes on hold a month, because I'M GOING TO CHINA! Thanks Lizzy. I'm in the Writers Grotto on a rainy San Francisco day. A perfect day for working on a novel actually. I'm sending a schedule off to my writing coach/editor friend that should keep me on track toward a good low-res program next year ... and later today I'm heading to the N.C. mountains for the weekend (but am bringing my laptop, because unlike mshea, my samples are not done!). i'm taking a globalization class, which is killing me (200+ pages of theory this week), a contemporary poetry class with alice fulton, and workshop, which i've thankfully finished my writing obligations for. i'm freaking out because i have a poetry reading next sunday and i've never read poetry before, and i have a paper due the day after then a presentation the day after that and ph.d. applications to prepare. First time post...long time lurker. 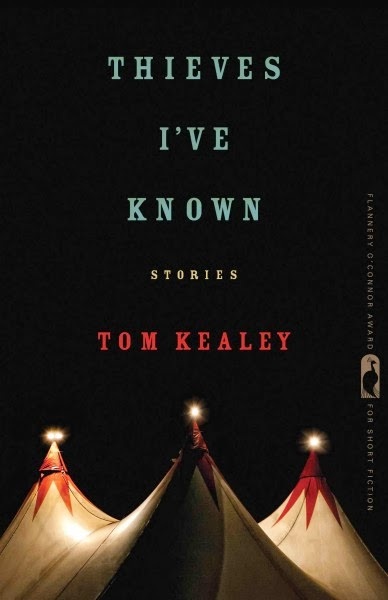 I wouldn't be in an MFA if it wasn't for Tom's book...so thanks! I'm at McNeese State University teaching two sections of Developmental English. This is my first year in the program and so far I'm really enjoying it. I was just workshopped (fiction) last week for the first time, and it was a humbling experience. I'm taking said workshop, a Restoration period lit class, Form and Theory of fiction, and a teaching seminar. This weekend I'm grading more papers than writing, but so far I have had plenty of time to write even with the busy schedule. If anyone has questions about the McNeese program I'd be happy to help. First year at UMass-Amherst. Just workshopped a novel chapter; very exciting, very motivating to keep exploring the different threads of my novel. When I get too much of it and need to take a break, I switch to short-shorts (1-3 pages long) which I plan to present at a reading at Amherst Books. Bliss. Reading (and laughing out loud with) Nabokov's Despair and Maria Tatar's compilation of the Grimm's fairy tales in "Grimm's Grimmest." I've been lurking for a while, enjoying this blog -- thanks for making it happen! I completed an MFA in 2004 and have been in the ever-narrowing-tunnel of a PhD program since then. 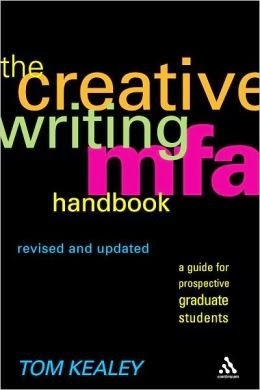 I came across this blog while working on a short essay about what the MFA degree means, or should mean, or could mean. It's getting cold here, too, but still sunny, sunny, sunny in the high desert. Mostly fall manifests as chilly nights and one hell of wind off the Sierras. So my “postcard” is to say that I actually decided to postpone the MFA application for a little while. I realized I wasn’t ready to go back to grad school (having just finished a hellish masters program this past spring) and also, postponing an MFA will allow my partner and me to match up our life plans much better. So I’m switching gears from focusing on getting into a good MFA program to getting into a good writing routine and really committing to my work, so that when the time comes around to apply, I’ll be in good shape. I've narrowed down my schools and found 2/3 of my recommendation writers. I cannot, for the life of me, commit to any non-fiction samples and I live in fear of the math section of the GRE. I am attending Hunter’s open house in November and I’m very, very excited about meeting their program staff and students. I've started filling out the application forms on three of my schools, and have two essays complete. I've sent transcript requests to my alma mater - and btw I have to say that took MUCH LONGER than I thought it would (3 hours!) to find and write down all the correct addresses. I'm waiting until the end of November to finalize my poetry portfolio(s) because my opinion on what should stay in the pile or go changes every week. Plus, I want a couple writer friends to help me pick the "keepers," and I still have some poems in the works that may make the final cut. I've just been accepted into Lesley's program in nonfiction for Spring '08. I'm impressed so far--the program director, Steven Cramer, spoke to me by phone for almost an hour. I'm currently perusing copies of books by the four mentors he recommended. It's good to hear from everyone. Keep the updates coming. I'm in the process of applying to 13 MFA programs. I wonder if I should've spent that $600 in app fees on something more substantial--an animal, perhaps?